I am lucky enough to live very close to Walt Disney World. So I get to pop in and out of the parks frequently. 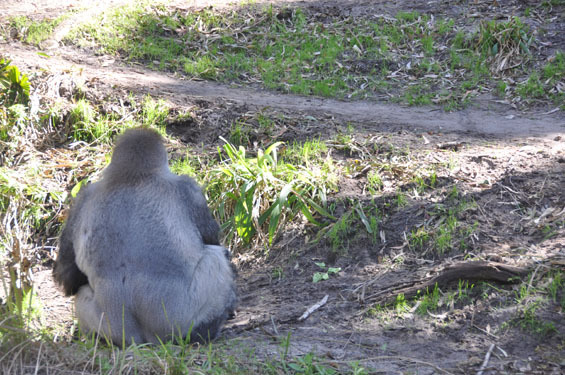 The other day I decided to visit Disney’s Animal Kingdom. Every time I walk through the gates of the Harambee Village it reminds me of the trips I took as a child when I lived in Africa. Obviously Disney did a lot of research to create a true African Village in the middle of Central Florida. The theming of the buildings really took me back to my childhood. While walking through the village you can hear the tribal drums beating. 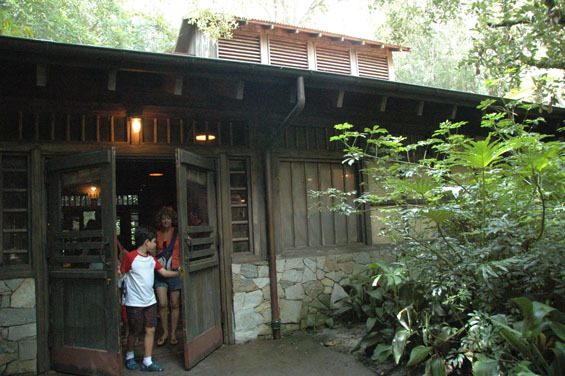 I recently took the Wild by Design tour at Animal Kingdom but I will talk about that in another blog. 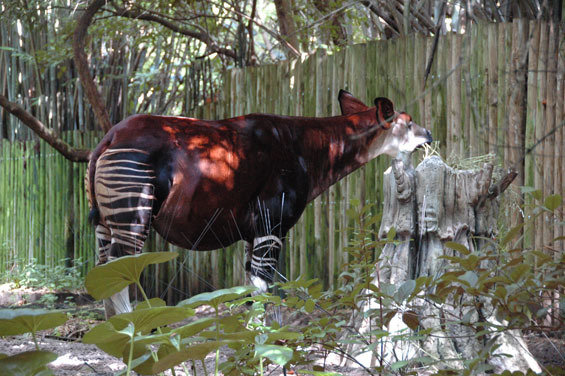 If you want to learn a little more about Disney’s Animal Kingdom I highly suggest that tour. I had intended to take the Kilimanjaro Safari but the line was over 100 minutes. I would recommend getting a fast pass for this attraction first. 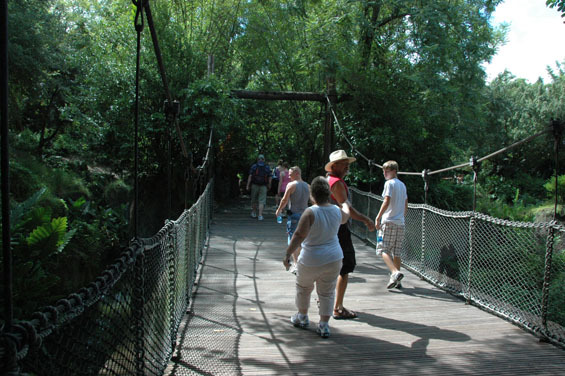 This attraction is highly popular because of the opportunity to feel like you are taking a real African safari. 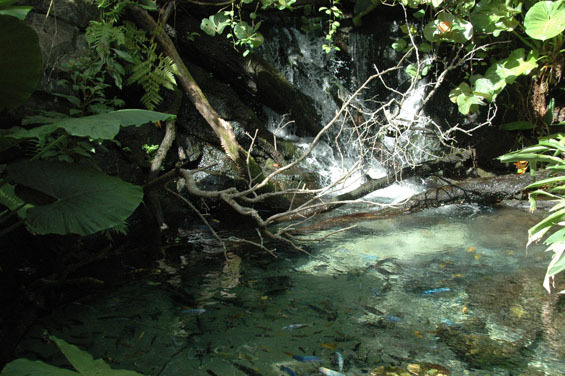 While walking further into the Village I decided instead to explore the Pangani Forest Exploration Trail. 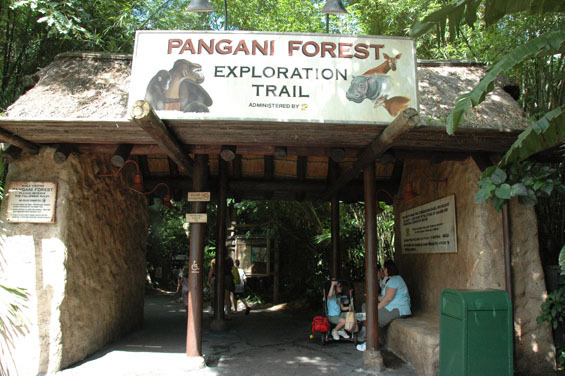 The Pangani Trail is only a few steps away from the entrance to the Kilimanjaro Safari. This trail is great if you want some moments away from the sun or the hot pavement. Children will find it fascinating to see the animals and birds. 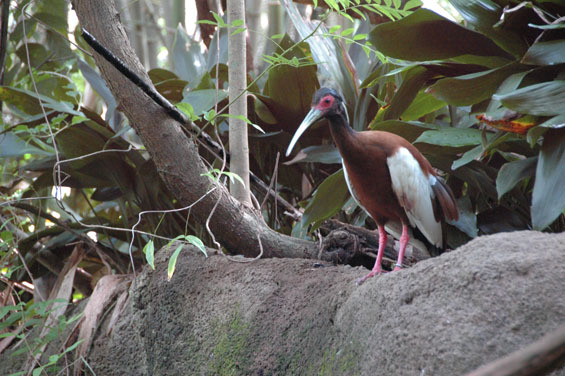 The Pangani Trail also offers educational cards to help you with your bird spotting. Further down the trail you can see the gorillas through the glass but you don’t feel like you are at the zoo. 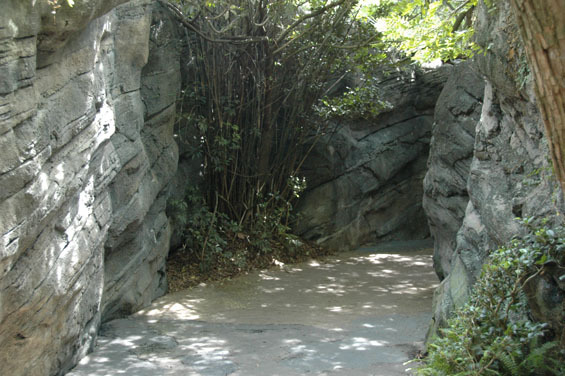 There are cast members at various stations along the trail to answer any questions about the animals. 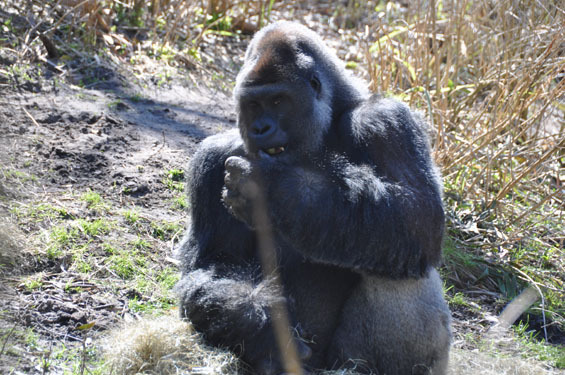 There is a new baby gorilla that is sometimes on display with her mother. 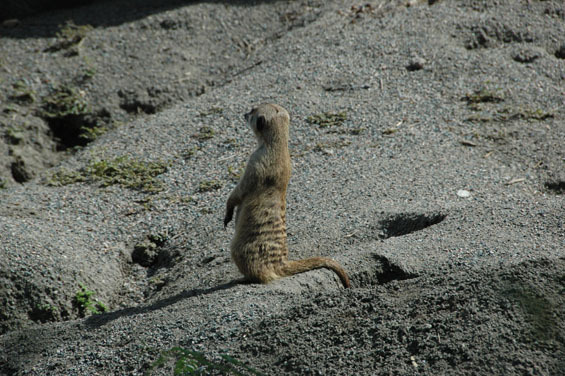 The area where the meerkats live is fun for kids trying to spot them as they pop up out of the ground. The birds watch too and one is them is the sentry for the others. It’s hard to believe once you start walking down the trail that you are in a theme park with thousands of other Disney fans. The lush landscaping has you feeling like you have escaped from the world. Be sure to look down every so often while you are walking. You will notice the animal tracks and tire tracks in the path that looks like hard packed dirt. The kids will want to hurry along the trail but parents might want to linger when you have some great scenery. 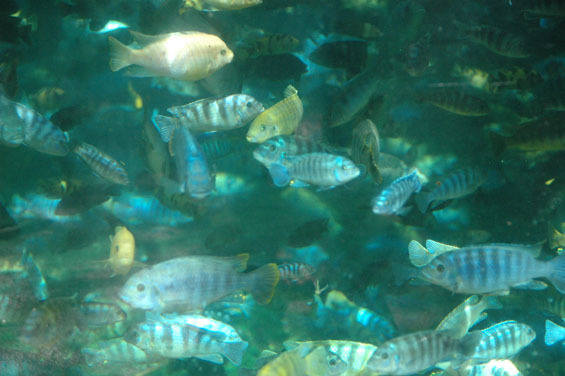 There is also a pond with lots of fish. It sure held my interest for awhile. The day I visited it was hot but I forgot about the heat while I was walking the trail. The path winds through woods and over bridges. There are several bridges that sway while you walk over them. Kids that day couldn’t wait for their parents to catch up to watch them walk over the bridge. I wished the trail could be longer but too soon I was back where I started. I know some of the kids that went in with me were pretty mellow by the time they came out and were very excited about the animals they got to see. Touring time in the parks is precious but I really feel this is one place you should explore the next time you visit Disney’s Animal Kingdom.